This entry was posted in Outfit and tagged Calvin Klein, Maria Nilsdotter, Rodebjer by Carolina Engman. Bookmark the permalink. Such a lovely top. Great outfit! that necklace is too gorgeous!! This is such a great minimal look! I love the red lip with the pink shirt! This outfit is so simplistically perfect! Less is more and the monochrome is on point girl! This is stunning! I love the top so muchhhh, the trousers are amazing! You look so beautiful in this simple but girly outfit, perfect for Spring! 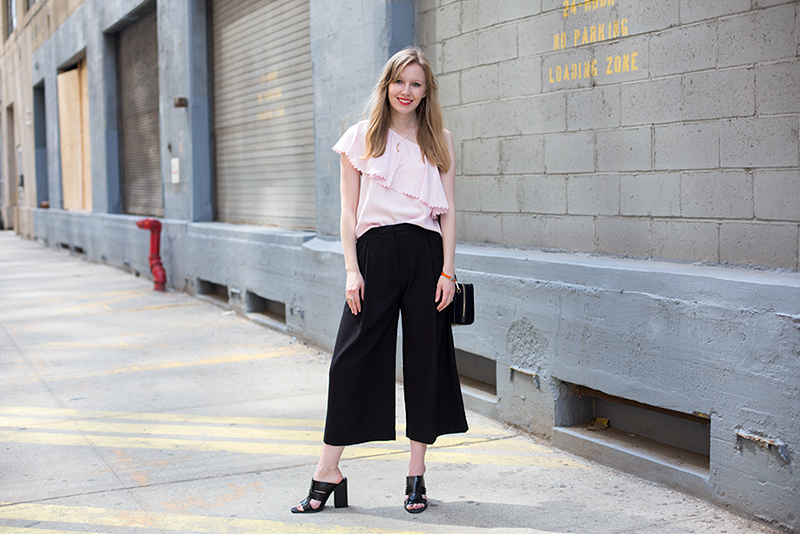 Nailed both the one shoulder and culottes trend! Love this outfit. Really pretty top. Love the color! The whole outfit is great! Love your top, great look! 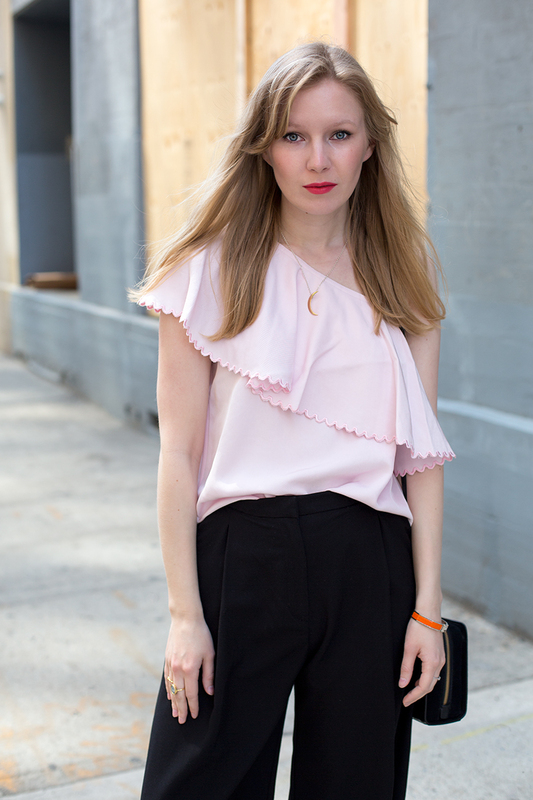 Such a lovely pink toga top, adore the ruffle detail with the cute scallop design! Looking great! I love the coulotte and the top. Looking nice… great combination pink and black. 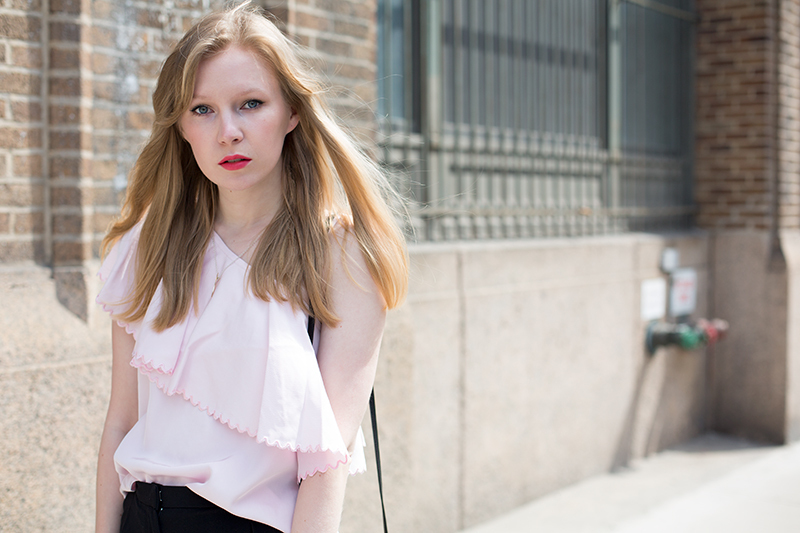 THis ruffled top is lovely! 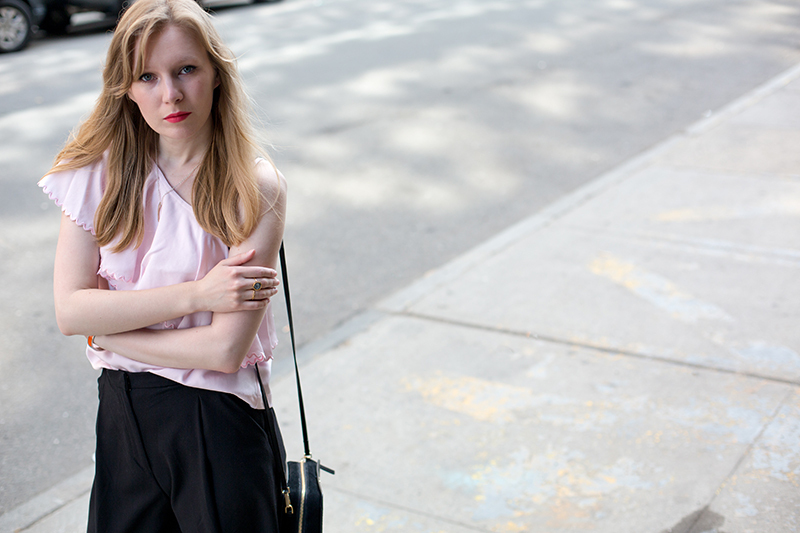 Beautiful necklace and great culottes! I like these mules and fantastic CK purse! NEW BLOG POST!! Today we talk about “SUMMER GET READY: 10 Things that will help you get summer ready”!! Check it out!! What an amazing outfit! That top is a summer gem! This top is absolutely gorgeous on you ! Love its color, and love its cut !! I love this outfit. The top is really pretty, like the light pink hue. Everybody seems to be embracing the culotte trend, I’d love to give it a try too !